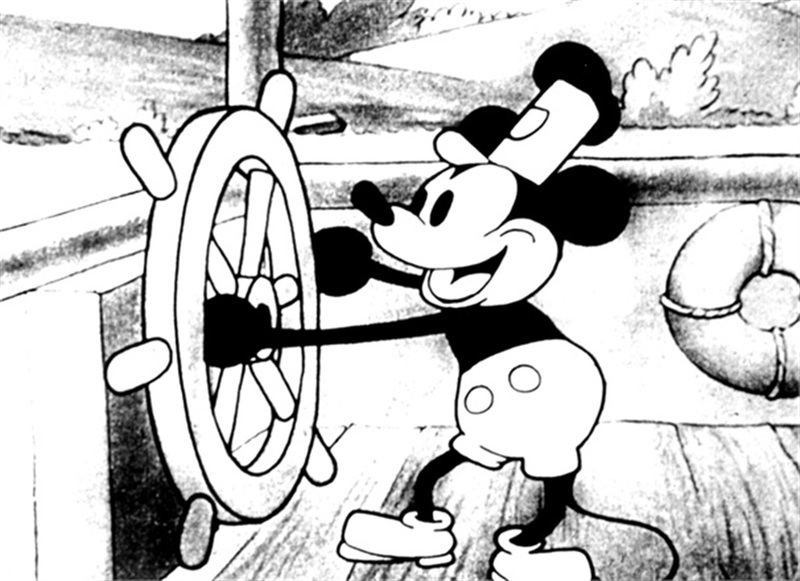 Can you imagine that it is already 90 years ago that Walt Disney got the idea of a cartoon mouse called Mortimer Mouse? It was only after his wife Lillian, convinced him to change it, it ultimately became Mickey Mouse. The last couple of years we see less of his pleasant, cheerful side and reintroducing the more mischievous and adventurous sides of his personality. For example with the video game Epic Mickey. But one thing will always remain the same: his red shorts, large yellow shoes, and white gloves. Those are a bit tricky to incorporate into a single cupcake so I would say this is a good alternative! 1. Preheat the oven to 350°F (177°C) and line a standard muffin/cupcake pan with paper liners. 2. On medium-high speed, cream the butter and sugar together until it is light and fluffy. 3. Turn the mixer to high and add the egg. Scrape down the bowl and beat until well incorporated. 4. In a separate small bowl, mix together the cocoa powder, vanilla extract and red food colouring to make a thick paste. 5. Add to the batter and mix on medium speed until it is all completely combined. 6. Reduce the mixer speed to low and slowly add half of the buttermilk. 7. Add half of the flour and mix until combined. 8. Scrape the sides of the bowl and repeat the process with the remaining buttermilk and flour. Beat on high until smooth. 9. Again, reduce the mixer speed to a low speed and add the salt, baking soda and vinegar. 10. Turn to high and beat for another couple of minutes until the batter is completely combined and smooth. 11. Divide the batter evenly between the cupcake liners and bake for about 20 minutes, or until a toothpick or skewer inserted into the centre of the largest cupcake comes out clean. 12. Cool for 10 minutes and then remove the cupcakes from the pan and place them on a cooling rack to cool completely before frosting. 1. In a small bowl, beat together the butter, milk, vanilla and salt until well combined. 2. Slowly add the powdered sugar until the frosting is light and fluffy. 3. Add some red food dye to the frosting to make it red and stir it in. 1. Frost the cupcakes with the red vanilla frosting. 2. Sprinkle the cupcakes with the sprinkles. 3. Twist apart the regular-sized and mini chocolate cookie sandwiches into halves. Set aside the side with the frosting (the ‘clean’ other halves we don’t use). 4. Slice the bottom-half of the regular-sized cookie to create a straight edge. 5. To create Mickey’s ears, place a pair of mini cookie halves onto the frosting side of the regular-sized cookie. 6. Place the just made Mickey cookies in the centre of the cupcake. 7. Add 2 yellow chocolates in front of the ears.